In April 2017 NeuRA Senior Principal Research Fellow, George Paxinos received an honorary doctorate from the Ionian University, in Corfu, Greece for his landmark work on ‘Mapping the Brain’. Prof George Paxinos paved the way for future neuroscience research by being the first to produce accurate three-dimensional (stereotaxic) framework for placement of electrodes and injections in the brain of experimental animals, which is now used as an international standard. 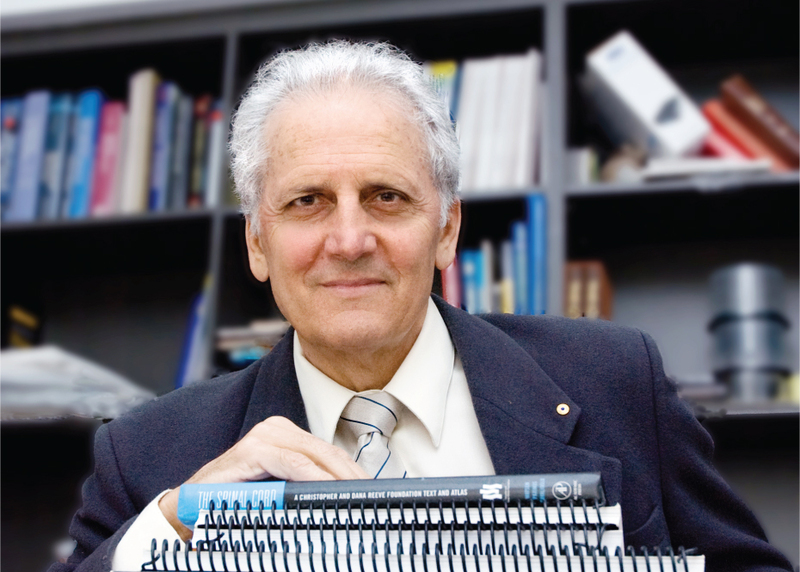 Arriving at NeuRA in 2001, Prof Paxinos focused on research, constructing histological maps of the brain. After seeing the good work being done at NeuRA on the spinal cord, Prof Paxinos together with his colleagues constructed the first diagrammatic atlas of the human spinal cord as well as the first comprehensive atlases of the rat, mouse, and rhesus and marmoset monkey spinal cord. In the last few years at NeuRA, Prof Paxinos has started constructing MRI atlases of the brain of humans, rats, and mice. In 2015, he published the first comprehensive MRI atlas of the rat and is now working on the mouse and human MRI atlases. images, makes our work more relevant to researchers and clinicians who increasingly work with images of the living brain.” – Prof Paxinos. Later this year as well as next year, Prof Paxinos will publish updated versions of seven of his atlases, combining his original foundation work with the MR imaging. This has allowed his team to make the maps more accurate, greatly enhancing the advancement in neuroscience-research, and giving surgeons higher definition maps which assist in facilitation of navigating neurosurgery.